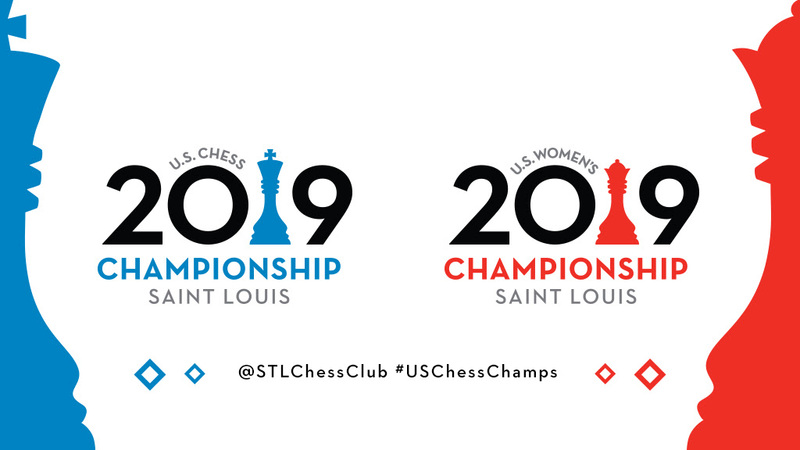 Huge day at the U.S. Championships as the open section simply caught fire, and the women once again provided the usual dose of sharp and tactical entertainment. 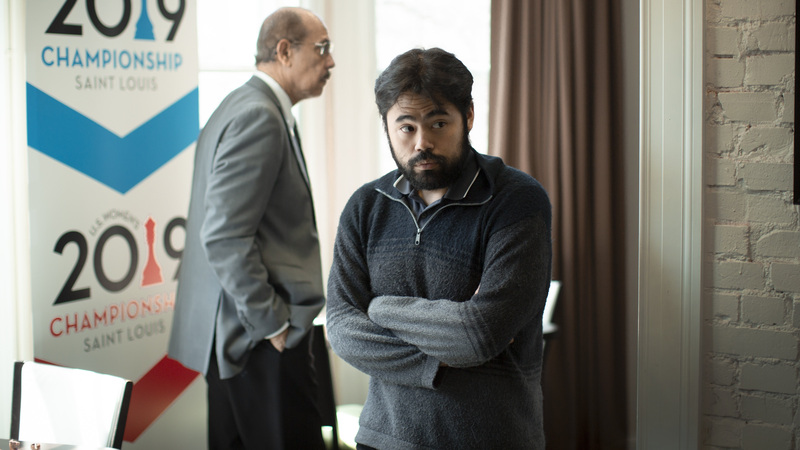 Nakamura continues his great tournament by scoring another key victory against the off-form Akobian. 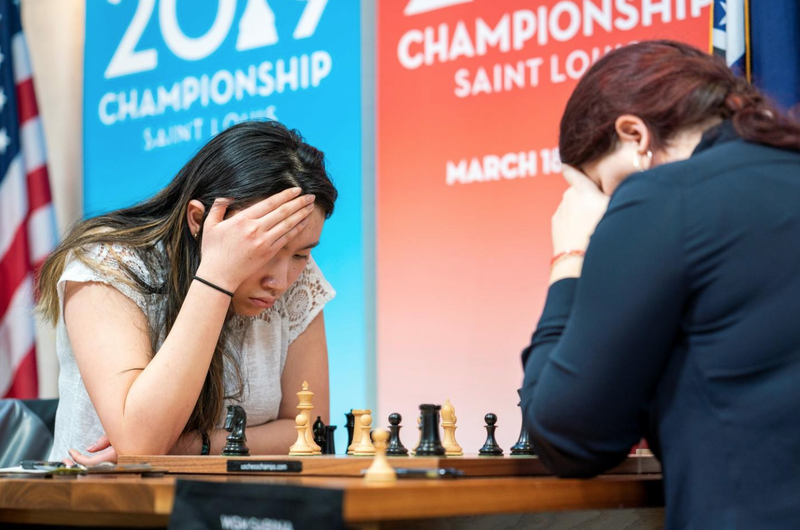 Caruana, Dominguez, and Sevian maintain the pace with the leader, while So’s aggressive Grunfeld failed to produce more than just a draw against Xiong. 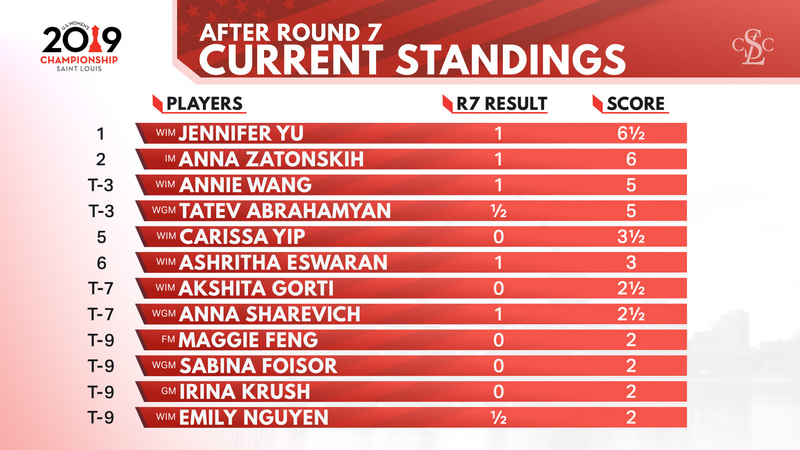 In the women’s section, the leader Jennifer Yu scores yet another important victory against Foisor after a wild game. 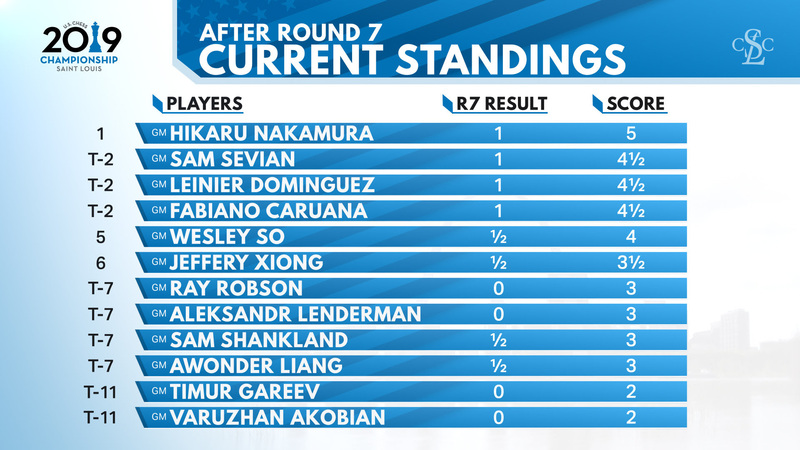 Zatonskih wins the battle between the most coveted players in the event, while Abrahamyan’s win streak ends at 4. 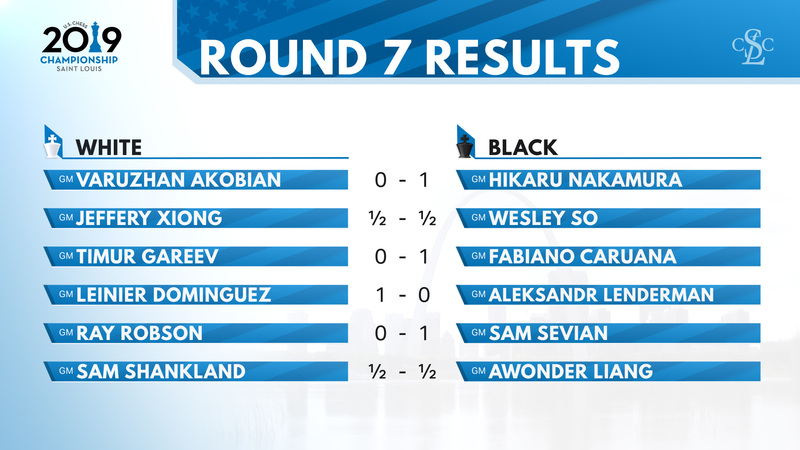 Let take a closer look at all the critical games that took place in round 7! This was a very intriguing battle from the beginning until the end. There were no flashy sacrifices, complex tactics, or incredible blunders. This was a match with plenty of battles fought in the background. 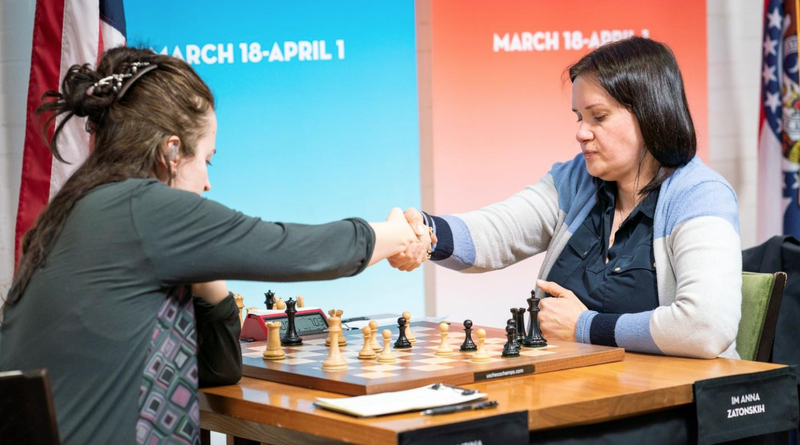 With Gareev being the heavy underdog, many experts were expecting Caruana to come out guns blazing and try to muddy the waters before outplaying his opponent in the early middlegame. This was not the case, as from the get-go Caruana chose to follow a rather dry strategy by essaying the QGA. I must admit that I was taken aback and even slightly frustrated by this approach, and I predicted the game would end without much fanfare. Gareev was making the right moves, and even looked like he might be getting ambitious at one point. This was likely his initial downfall, as his ambitions quickly got tainted when he started erring before the second time control with 51.bxa4?! This allowed Caruana to obtain a slight advantage, which he carefully nursed into a decisive advantage. These heavily weighed games are never won easily, and Caruana returned the favor with the careless 66…Rd5? throwing away the advantage and allowing Gareev to get a R+B vs R endgame for the second time this event. It looked as if Gareev’s defense would hold, but it was Caruana’s perseverance in the face of disaster that ultimately paid off when Gareev erred for the final time with 122.Rg3?? allowing Caruana to close the show with precision. From the beginning of the game one thing was made clear to the audience, Nakamura came to play! 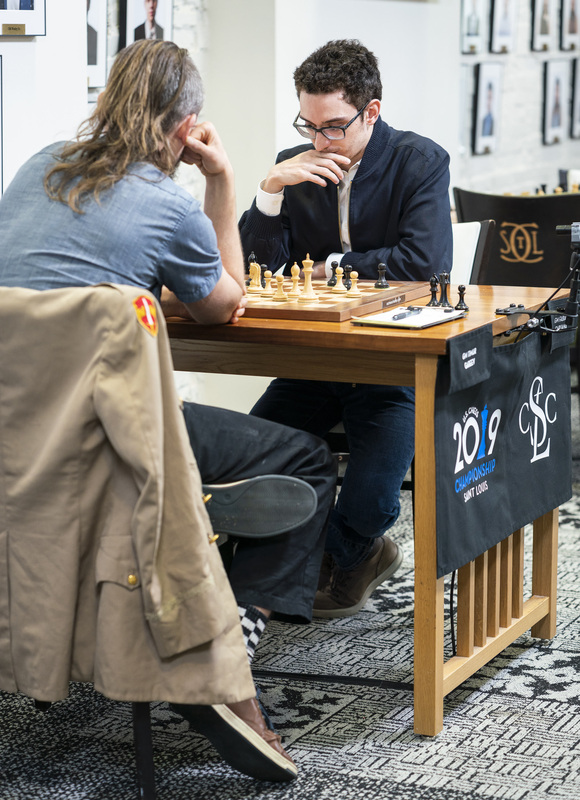 His unorthodox opening approach was in striking contrast to Caruana’s peaceful strategy. Nakamura saw his ideas paying off quickly, as the off-form Akobian was unable to tame the energy infused into the position by his opponent. Akobian’s last chance to achieve equality was right before he played the erroneous 21.Raf1?! instead of the correct 21.Nb5! which would have allowed him to create enough counter play for equality. It was all Nakamura after that, as the 4-time champion’s technique did not fail him throughout the final stage. This was simply a power play by Sevian. The type of game that gives such a boost of confidence that sometimes translates into a continued push to the top. It happened to Shankland last year, it could happen to Sevian this tournament. Let’s take a closer look at what transpired in this critical match (analysis available online)! Before the event, this was surely the most anticipated battle. These ladies share 11(!) titles between each other and are still the highest rated players in the event. 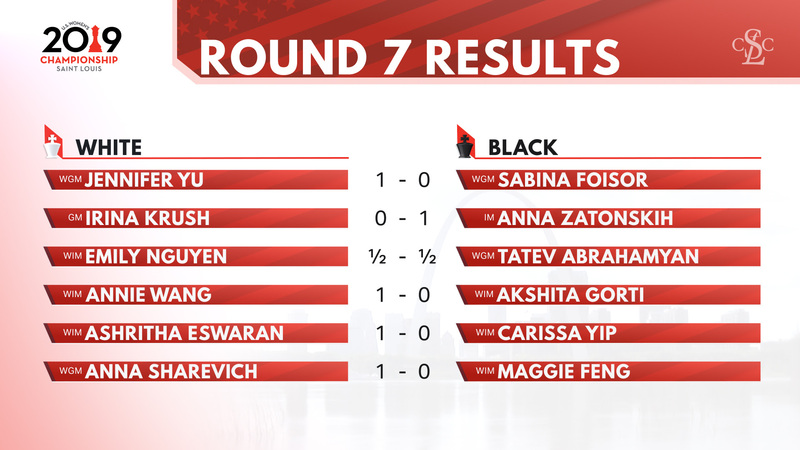 Nevertheless, the scores going into this battle were quite the opposite, with Zatonskih chasing the leader while Krush simply has not found herself throughout the event. GM Boros once again provides his analysis of this crucial battle, (available online)! What a twisted game this was. Yu started off guns blazing and looked that she might be finishing off the careless Foisor before any other result would come in. But Foisor’s grit should not be underestimated, as she carefully defended and posed as many conversion problems for her opponent as possible. Yu’s 18.Nb5? was simply a blunder that allowed Foisor fully back into the game. The ensuing endgame was a tense affair, in which the advantage passed hands continuously. Foisor was the last one to err, as she avoided the repetition with 47…Ke6?? instead of the simple 47…Rh2. Her decision is simply inexplicable, as her winning chances were pretty much nonexistent at that point. Yu took full advantage of Foisor’s over exuberance and finished the game with precision. She continues to be the sole leader going into the final 4 games.